Deciding between what smartphone to upgrade to, whether the new iPhone 5 or the previous version the iPhone 4S can be an agonizing decision to make. Their operating systems- if you have upgraded your iPhone 4S to the IOS 6, then your smart phone is running on the same operating system as the latest Appleâ? ?s release. The extra inch of the iPhone 5 screen display allows it to accommodate an additional row of icons and subsequently more contents in some certain applications but there is no much significant difference between the two versions. iPhone 5 comes loaded with new software and features. For the previous version, it was the Siri and Face Time applications. The latest version in the iPhone family incorporates both of these and in addition, the Passbook and a whopping Maps application and therefore here, the latter may be a better option. The build and design – There is a similarity in the appearance of the two smart phones but the size difference is clear, the newer and the older versions are 4.87 and 4.5 inches tall respectively. The thickness compares as 0.30 inches and 0.37 inches in the earlier and newer versions and though seemingly insignificant, this is amounting to a weight difference of a whole ounce, lighter than the iPhone 4S; 4.9 ounces. Cameras â?? The two versions are described as having the same 8-megapixel cameras but in reality, the new version can take pride in several beneficial improvements. Where photo shooting is on a well-lit platform, the difference may not be much conspicuous but in dim light, the newer version stands out. This can be attributed to the better LED flash and additionally, other hardware improvements ensure that the shots are captured noiselessly. Well, both support 1080 recording capabilities but the iPhone 5 stands out again here since it can take shots while recording a video simultaneously. While it comes with increased white balancing and image stabilization, though subtly, its enhanced compression capabilities imply that HD videos appear up to 20% smaller, unlike in the iPhone 4S. LTE services and Voice call quality – The newer version simply redefines the WiFi networks that the previous version has been taking pride in, from 3G to 4G. What does this mean? The new product comes with the 4G LTE that is improved and where ones happens to be in an area with the supported carrier networks, the browsing, uploading and downloading experience gets a new meaning. 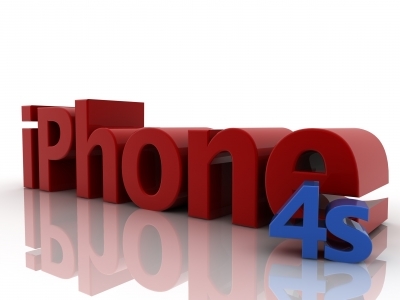 Battery life – Here, the difference between the iPhone 4S and the iPhone 5 is very small but with the LTE support, the latter receives a significant power feat. Jeremy Green works for a well-known online retailer of iPhone 4S and iPhone 5 as well as other smartphones and gadgets.